Spinal Touch is a gentle and effective remedial treatment. It corrects postural distortion and realigns the body's centre of gravity at the lower spine. Any physical stress or discomfort will affect this centre producing pain and lack of ease. A pattern of touch points covering the spine, abdomen, head and shoulders is gently relaxed so as to facilitate pain-release. Where did Spinal Touch Come From? It was developed by an American structural engineer and chiropractor John Hurley in the early 1900s. Noticing the effects of gravity on his buildings he turned his attention to the human body, and observed that pain and sickness often accompanied distortion of posture, hunched shoulders, head and neck forward, chest caved in etc. Ahead of his time and along with his knowledge of acupuncture and other energy systems he created Spinal Touch. 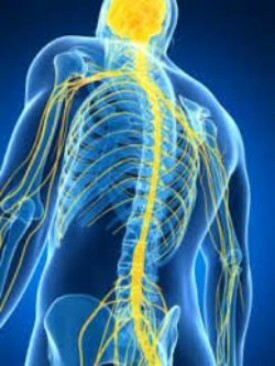 Spinal Touch can have a direct and beneficial effect on any client regardless of symptoms or ill health. It is a non-manipulative, holistic treatment without contra-indications. As it is so gentle, it can also be safely used on children and the elderly. The body has an amazing intelligence and knows what needs to be done, so each person reacts in their own special way. You may feel tingling, a sensation of warmth or feel so relaxed you go to sleep. Any dizziness is temporary and the result of increased energy flow in your system. Any tiredness or flu like aches are just your body having a spring clean, so drink plenty of water to cleanse the blood. If you feel particularly energised still rest as this energy is needed to continue the realignment and healing of the body. So no digging in the garden or spring cleaning please.